The standard base rate for local Luxury transportation (sedan) $65 + plus $3.00 a mile, Large SUV Escalade $125 + 3.50 a Mile, Van Limousine (sprinter) $295 + $4.00 per mile, hourly from $125. The Standar rate do not includes parking, tolls, extra stops and 20% tip to the chauffeur. Long Distaance trip after 100 miles the hourly don't apply. Sample Miami to/from Orlando about 4 hours the hourly don't apply;the rate is por Mile. Limo & luxury LINCOLN TOWN Car SERVICE 3 passenger, affordable airport and non-airport transportation , $55 Per hour PRICE CHANGE SEASONALly (Minimun 3 hrs), for executive transportation, luxury travel airport pick up. THE CADILLAC ESCALADE SUV LUXURY LIMO SERVICE 6 passenger, affordable airport and PRIVATE airport transportation , $95.00 Per hour PRICE CHANGE SEASONALly (Minimun 3 hrs), for executive transportation, luxury travel airport pick up. Cadillac ESCALADE STRETCH LIMO FROM 10 TO 20 passanger, $150 PER HOUR (minimun 5 hrs friday-saturday), WE HAVE THE FINEST PORT EVERGLADES LIMO,BUS,SEDAN AND PARTY ESCALADE LIMO rental goes to the airport, hotel or cruise ship terminal. 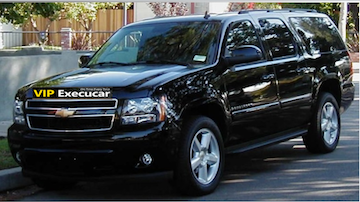 SUV CHEVY SUBURBAN Limo 7 PASSENGER NON-STRETCH LIMO $75 PER HOUR (Minimun 3 hrs) IS AVAILABLE AT AN AFFORDABLE PRICE IN MIAMI/FT LAUDERDALE AND WEST PALM BEACH,FL. This is a Limo in a class by itself. A beautiful antique look that is great look for photos, a beautiful ride and all the amenities. CD, VCP, TV, Neon Mood Lighting, Ice Bars, etc. Fort Lauderdale Limo Service - Limousine Service in Fort Lauderdale, FL for WEDDING, Proms, and Special Occasiones :You can afford this LINCOLN STRETCH limousine 8/10 passangers for $95 PER HOUR (minimun 5 hrs Friday-saturday) in Miami,West Palm Beach and Orlando. Introducing the New mercedes benz LIMO S550, 3 passangers $125 per hour (minimun 5 hrs),THE BEST PRICE YOU WILL FIND IN SOUTH FLORIDA. Miami Limo, Palm Beach Limo and FLL Limo. This has all the amenities you would hope for in a Limousine. Besides having the elegance of a Lincoln Town Car Limousine it also has some fun features such as: mood lighting on the bar, ceiling and even the seats. Mirrored ceiling, privacy divider, FM-CD with surround Speakers, Passenger climate controls. the New 2015 mercedes SPRINTER PARTY LIMO VAN, from 9 to 15 passangers sprinter van offer the ultimate in style,safety and luxury . price start from $150 per hour (minimun 5 hrs) FOR ALL SOUTH FLORIDA NAPLES,FT LAUDERDALE AND MIAMI. cadillac escalaDe Limo 6 passengers FROM $95 per hour (minimun 3 hrs) IS A CHEAP LIMO RENTAL IN WILTON MANORS, PORT ST LUCIE, DORAL, MIAMI, ORLANDO, NAPLES, PALM BEACH GARDENS,HIALEAH,FLL AND PBI. VIP EXECUCAR OFFERS PARTY BUSES, LIMO BUS,SHUTTLE BUSES,PASSENGER VAN,SUV AND Motor Coach 57 passenger $150 per hour (minimun 5 hrs) Charter Bus destination, to airport, hotel, big groups. VIP EXECUCAR PROVIDES CHARTER BUS SERVICE, LUXURY VANS AND CHARTER MINI BUS RENTAL.MOTOR COACH RATES START FROM $125,00 per hour (minimun 5 hrs) FROM PORT EVERGLADES, FT LAUDERDALE TO MIAMI OR PORT OF MIAMI. BIG DISCOUNTS PARTY BUS, FOR BIRTHDAYS, WEDDINGS, BACHELORETTE/BACHELOR PARTIES. Party Bus RENTAL FROM $150 per hour (minimun 5 hrs) . NEED A PARTY BUS?. VIP EXECUCAR CAN HELP YOU FIND THE BEST TRANSPORTATION SERVICE IN SOUTH FLORIDA. destination to NIGHT CLUBS,hotel,PROMS,big groups, AND HOME. Altamonte Springs, FL and Altamonte Springs Limo & Car Service. Apopka , FL and Apopka Limo & Car Service. Airport Shuttle & Airport Car Service to-from PBI, FLL,MIA,MCO, KEYW,NAP, KAPF and TPA. Boynton Beach, FL to/from Palm Beach,Miami, and Boynton Beach Limo Service. Boynton Beach, FL & Boynton Beach Airport Limo Services. Casselberry , FL and Casselberry Limo & Car Service. Fort Lauderdale-Hollywood International Airport Shuttle and Fort Lauderdale-Hollywood International Airport Shuttle Service. Fort Lauderdale,-Hollywood International Airport to/from Fort Lauderdale Airport Car Service. Fort Lauderdale-Hollywood International Airport 100 Terminal Dr, Fort Lauderdale, FL 33315 & Fort Lauderdale Executive Airport Car Service. FXE: Fort Lauderdale Executive Airport 6000 NW 21st Ave, Fort Lauderdale, FL 33309 & Fort Lauderdale Executive Car Service. Fort Lauderdale , FL & Ft Lauderdale Limo Car Service. Fort Lauderdale , FL and Fort Lauderdale Airport Shuttle Service. Ft Lauderdale-Hollywood International Airport (FLL) 33135 to/from Fort Lauderdal Airport Transportation. Airport Transportation, Fl to/from now renting Luxury Limousine in Palm Beach. Jensen Beach , FL and Jensen Beach Limo & Car Service. Limo Service from Delray Beach to West Palm Beach, Orlando, and Tampa FL. Loxahatchee, Florida & Loxahatchee Car and Limo Service. Limo Service From Miami Beach to : Fort Lauderdale, Key West, West Palm Beach and Miami. Limousines Services from Aventura to: Fort Lauderdale, Miami and Orlando Fl. Limousines Services BB&T Center Fort Lauderdale;Fl To: Fort Lauderdale,Boca Raton, West Palm Beach, Key West and Orlando Fl. Manhattan NYC , FL and Manhattan NYC Limo & Car Service. Limousine Service American Airlines Arena Miami to & Boca Raton, Orlando,Fort Lauderdale and Orlando. Miami Int'l Airport (MIA) FL 33126 , To Airport Miami Limo Rental. Miami, FL & Miami Car Limo Service. Miami Beach , FL & Miami Beach Chauffeured Transportation. Miami Airport Limo Service, FL and Miami Airport Limo transfer Service. Naples, FL 33104 and Naples Limo Car Rental Service. Naples Municipal Airport, FL 160 Aviation Dr N, Naples, FL 34104. Naples Shuttle Bus Transportation to/from West Palm Beach Airport Limo. Naples Transportation to/from Fort Myers (RSW), MIAMI (MIA), Fort Lauderdale "FLL". Naples Municipal Airport, FL & Naples Fl Limo Rental Service. Pembroke Park , FL and Pembroke Park Limo & Car Service. 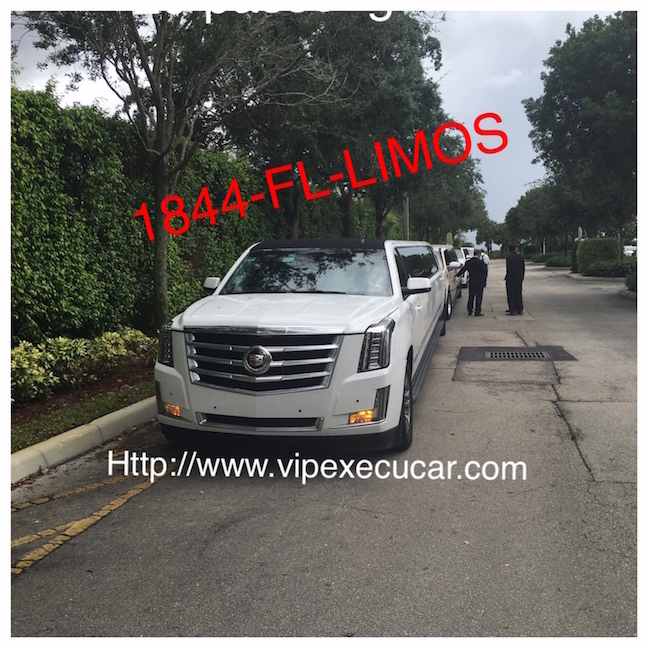 Plantation , FL and Plantation Limo & Car Service. Perrine , FL and Perrine Limo & Car Service. Princeton , FL and Princeton Limo & Car Service. Pompano Beach , FL and Pompano Beach Limo & Car Service. Port Everglades Cruise Port to/from Port Everglades cruise ship black car service. Miami, Port Transportation to/from Port Everglades Limo Service - Private Shuttle. Port Everglades Airport to/from Cruise Port Port Everglades Transportation. Port Downton Fort Lauderdale to/from Miami Airport, FLL Airport, Port of Miami. Port Everglades Carnival Cruise FL 33316 to/from Miami International Airport, FT. Lauderdale Int Airport. Port Canaveral, Florida to-from Orlando Transportation Service. Port Canaveral, Florida to-from a Miami Transportation Service. Port Everglades, Florida to/from Port Everglades Limo ,Bus, Van & Sedan Service. Port Of Miami to/from Palm Beach International Airport "PBI"
Port Everglades Private Transportation to/from FT. Lauderdale Airport Shuttle & Executive Sedans. Port of Tampa Cruise Transfers to/from Port Canaveral, Port of Miami. Port Of Miami Cruise Transfer Services to/from Tampa to Miami Cruise Dodge Island. Richmond West , FL and Richmond West Limo & Car Service. Royal Palm Beach, FL and Royal Palm Beach Transportation and car and Limo Service. South Beach , FL and South Beach Limo & Car Service. South Beach , FL to South Beach Limo Service. Sunrise , FL and Sunrise Limo & Car Service. Stuart , FL and Stuart Limo & Car Service. Sunny Isles Beach, FL and Sunny Isles Beach Limo & Car Service. Limo Service from Port St. Lucie to Miami, Fort Lauderdale and Tampa . Tampa , FL and Tampa Limo & Car Service. Palm Beach International Airport To Palm Beach Airport Car Service. West Boca Raton , FL and West Boca Raton Limo & Car Service. West Park , FL and West Park Limo & Car Service. Windermere , FL and Windermere Limo & Car Service. Party Buses Rental, Buses rental, Charter Service, Airport Shuttle. Changes are made by calling our office and speaking with a limousine dispatcher. Once you confirm the original reservation, you will be asked to provide the updated details for your reservation. If you are changing on short notice, we will do our best to accommodate your request. If we are unable to accommodate your request due to availability, you can keep the original reservation or cancel the reservation. On site and / or same day cancellation 100% service fee is earned. 72 Hours cancellation 100% service fee is earned. Small Van,Mini-Bus, Medium Size Bus,Large Bus, and, Motor Coaches 7 days of the schedule pick-up time will be subject to a full charge. A credit card is required to make a reservation. Any airport reservation canceled within a twenty four (24) hour period of the scheduled pick-up time will be subject to a full charge for the quoted price including Base Rate plus, Tolls, Parking, Meet and greet,Driver Gratuity, and any accumulated expenses. Any reservation for our limousine or mini-bus that is cancelled within a one week (7 days) of the scheduled pick-up time will be subject to a full charge of the hourly rate for the required minimum hours that was agreed upon at the time of booking plus the deposit. By booking a limousine you agree to this cancellation policy. Exceptions are only made due to extreme weather conditions resulting in flight cancellations or the inability to traverse the roads.. The cancellation policy may be changed during special events and/or holidays. The following services require a non-refundable deposit at time of booking: Proms, Hourly,Night on the Town, Concerts, Weddings, or Special Events in our car service,limousines or motor-coach. 3,6,15 to 54 Passenger Limousines require a 50 % deposit and our Executive motor-coach requires a 50% deposit. Exceptions are only made due to extreme weather conditions that result in the inability to traverse the roads. We constantly monitor the flight arrival information that you provide to us. Please call our office as soon as possible if there is a change in your flight information. We will meet you upon arrival, just look for our chauffeurs holding an sign with your last name. If you don't see the driver please call us immediately at (561)208-3831. If you are not able to locate the chauffeur for any reason, please call our 24-hour dispatch at (561) 208-3831 immediately. Our dispatch will be able to locate our chauffeur right away with 2-way radios. No Show Charge (full charge) will be applied if the passengers fail to call our dispatch before leaving the scheduled pickup location. A No Show Charge will also be applied if the client fails to inform of the cancellation. Florida Airport: Our vehicles are restricted to waiting in a security zone until ten (5) minutes after your flight lands and only ten (5) minutes at the terminal to meet and load you into the vehicle. You should call our office when you are ready to meet your driver and we will dispatch the car to the terminal to meet you. Uncontrollable acts, or acts of mother nature;Modern Limousine is not responsible for acts of mother nature and/or circumstances that are beyond our control; including, but not limited to traffic congestion, road closures, accidents, flight delays, weather delay etc. Documentation fee, airport tax, seaport tax-entry, road tolls, parking, waiting time, customs/immigration clearance not included. Common gratuity to driver 20% not included. Kindly request a copy of your invoice in advance so that you know your exact full charge. All transfers are considered as final sales. No refunds. I, the undersigned, authorize Vip Execucar, LLC. to charge the above referenced credit card for transportation and related services, which may be rendered through Vip Execucar, LLC In accordance with the terms and conditions between Vip Execucar, LLC. and the undersigned, I fully understand that all chartered reservations are non-cancelable. If I should cancel my contract for chartered service, I will forfeit the deposit made to hold this reservation. If I should cancel my contract for chartered service within 72 hours of the date and time of service, I will forfeit the full amount of the contract. I am aware that, as the contract holder, I am responsible for the behavior and actions performed by my guests (passengers). I understand that eating and smoking is not allowed inside the vehicle. I understand there is a cleaning fee to parties who do not keep the inside of the vehicle clean, the fees being from a minimum of $50.00 depending on the level and location of contamination. Deliberate damage to the interior or exterior of any vehicle will be charged at the cost of restoration, plus a 50% service fee. Any vomiting will access a charge of $750.00. If said damages arise I authorize full payment to be charged to my credit card. I understand that charges being made for cancellation or cleaning fees being made to my card is the full and final payment for all damage(s). I understand these charges may include but are not limited to tolls, parking, extended time, waiting time, No-shows, and cancellations. I understand that if I cannot locate my driver, it is my responsibility to contact the Vip Execucar, LLC dispatcher (561) 208-3831. Leaving the pick-up location will result in a no-show charge. By signing this statement I acknowledge that this policy has been reviewed with me and that I understand and agree to abide by the terms and conditions set forth. As an authorized agent of the Customer, I hereby acknowledge and agree to his/her Email the terms and conditions and accept this Agreement. The document above has been sent electronically in accordance with the law. Certain vehicles including Limousines, Luxury (Limo) Buses, Mercedes Executive Sprinters are billed a five (5) hour minimum charge on all As Directed (Hourly) priced trips that occur on Fridays and Saturdays. Cancellation policy: Trips booked for three (3) hours or greater require a 50 percent deposit at the time of booking.This becomes non-refundable 72 hours prior to contract start time; if customer cancels less than two (2) hours prior to contract start time, a cancellation fee of 100 percent of the estimated trip total will be charged. Credit Card Information will be required for all future reservations. Tolls and parking are additional. Rates subject to change without notice, some restrictions may apply. RATE SCHEDULE: Dedication to Service. Commitment to Excellence. COURIER SERVICE RATES FOR PICKUP OF ENVELOPES AND DOCUMENTS. SAME DAY DELIVERYFROM 9 AM TO 5 PM MON-FRI.
FOR SAME DAY DELIVERY ON NON HOLIDAYS FROM 9 AM to 5 PM MON-FRI.
LIMO RENTAL RATES DO NOT INCLUDE TAX, TOLLS, PARKING, HOLIDAYS AND WEEKENDS. Planning in advance and understanding taxi pricing policies can protect you against hight meter Rates!!. Our Rates are regulated by the Public Utilitiesd Commission of DADE-Miami, PBI Palm Beach, Orange and Broward County. Charges for Limousine Transportation and Rental Services in : Naples, Miami, Fort Lauderdale, Orlando,Key West,Boca Raton, West Palm Beach are affordable and not by computer or taxi-meter as well party bus rental, stretch SUV's in your area and see customer ratings, see limo permits and competitive offers for sedan, party bus and other limo options. How much does it cost to rent a limousine or SUV or elegan sedan going to the airport? It cost similar to the taxi and varies from city to city and depends upon the kind of vehicle you will get. Welcome to Miami Limo Rental & Car Service: If you are shopping for a sedan service , SUV Limousine for any occasion, Limousine Rental, Airport Limo or car transportation in Miami, we offers the best prices for Airport Transportation in South Florida. Find great FREE discount rates Limo, your stop for all ground transportation need Any time Anywhere in the word. The best place to Book a Limo, town car to or from West Palm Beach Fl is with http://www.vipexecucar.com you can check the low price, best limo , cheap SUV rates for executive car services call us today!. Executive Key Biscayne Car Hire provides elegant, dependable, exotic transportation to and from all aiport areas MIA. Group Travel Services in Key West - Provident Luxury Party Bus from Marathon, Islamorada and Naples private executive tour arrive at any West Palm Beach airport location on time. Vip Execucar limos provides affordable limousine service for your night on the town, weddings, proms or business travelers airport transportation. We have been serving the South Miami Beach executive transportation market with on time, safe and reliable luxurious transportation. Reliable limo service to/from West Palm Beach International Airport (PBI) in Palm Beach. Flat Rates & No Hidden Fees! Instant Quotes, Book Online or Call 561-208-3831.Find, read reviews, compare rental prices and rent a luxury party bus in South Florida. Vip Execucar provide 24-7 limousine pick up: West Palm Beach Weston, Boca Raton, Fort Lauderdale offers on-time, luxury transportation dependable airport transportation 24 hours, 7 days a week, 365 days a year for any part of South Florida. We have the best Limo prices and affordable travel service for Town Car transportation to Fort Lauderdale, Sunny Isles Beach, Weston in North Miami Beach FL, get cheap quotes for party bus, partylimo, wedding limo , prom limo or any other airport transportation service. Lincoln Town Car in West Palm Beach, Weston and Fort Lauderdale and Airport Executive used Luxury SUV to go around in West Palm Beach or other nearby cities. Royal Palm Beach providing Shuttle trasnportation via my 15 passenger Van-Sprinter Limo Golf Van to and from the public parking. Lantana, FL Yachting Transportation to The Marina. Jupiter, FL Vip Goft Transportation, let Vip Execucar take care your next Golf Trip anywhere in South Florida. Palm Beach, FL Vip Execucar is now taking reservations for wedding, Prom, and Dinning Transportation. Orlando Transportation : Vip Execucar Orlando limo services now reduce the fare for all attracions, wedding, prom and more!. Specializing Best Limo Prices: Selecting the cheapest rate for a Limousine or Luxury Town Car involves mora than the type of vehicle that the company offer, we have affordable Black Sedan, Stretch Limousine and SUV's Limo at low pricing, we guarantee the lowest rates SUV hire limo. Our Limousines, Luxury SUV Limo Town Car services offer the top money you can buy. Whether you are traveling on business, formal occasions, wedding, corporate visit, Vipexecucar car services provide First class transportation service for every occasion. Looking Cheap Party Bus renatal Hire with no cancellation and no hidding fees in the USA, Europe and over 1000 pick up locations worlwide with just one phone call? Before your business travel trip start, check out our tips on how to decide if a rental car, taxi, or luxury transportation is the best option for you. Wellington Rental Limo Town Car provides Airport Limousine, Limo Car Shuttle Transportation Service, Bus Rental in Wellington FL at affordable rate. Weston Car Service provides luxury transportation services in south Florida. Servicing City of Sunrise; Coconut Creek; Cooper City; Coral Springs; Dania; Davie; Deerfield Beach; Fort Lauderdale.Palm Beach, Broward, and Dade counties. Looking Limousine Prices? : When visiting the Sunshine State, give Vip-Execucar limousine service gave a chance to earn your business, once you've found the vehicle that's right for you, check availability to compare rates, reviews and service details of South Florida area sedan services No one beats Vip Execucar prices since 1999. Vipexecucar services range from Port of West Palm Beach sedan transportation to tours attractions such as Palm Beach Zoo and downtown Palm Beach. Vipexecucar offer South Florida sedan, Lincoln Limousine, Luxury Executive Transportation, Luxurious SUV and Sports utility Vehicle car service, South Florida Executive Van Service & Corporate Shuttle Transportation, Luxury Van, South Florida Limousines Buses, Minibus Rental, luxuries Miami Limousine, luxury sedan and Stretch car service for corporate travelers, airport transportation and Convention Center Transportation.Hire a Vipexecucar chauffeur company with over 20 years of experience in the business of Town Car and limo service, we have built successful reputations with people who prefer luxury town car, Vipexecucar is here for Palm Beach Exotic Limo services and airport limousine transportation, Hummer, executive town car, deluxe Motor Coaches, serving Singer Island, Palm Beach Shores, Palm Springs, Wilmington, W Delray Beach and West Palm Beach. Vip Execucar a Florida Limousine company, our courteous chauffeurs will ensure that you arrive on time safely with professional service.Vip-Execucar Sedan Car Rental wants to be your number one rental company in Miami. We have the largest selection of Luxury sedan cars in South Florida. Our Hummer hold up to 18 passengers. Miami Sedan Limo rentals are what we do , when you need to book a car in Miami Fl, or get Sedan quotes, and need an airport car service, count on us. We also have the largest Luxurious sedan car fleet in Miami, West Palm Beach, Aventura, Key West, Vero Beach and Fort Lauderdale FL. Cost to Rent Limo? : How much does it cost to rent a limousine, SUV or sedan going to or from the airport? This cost varies from city to city and depends the kind of vehicle you will hire but in West Palm Beach is one the least expensive cities to rent a Limousine with a new 2011 Lincoln sedan averaging anywhere between $45 to $95 depending of many factors per trip. Where can you find the cheap Limo rental? With Vipexecucar price 4 limo all you need to do it spend some time planning then look in our web or call us today! 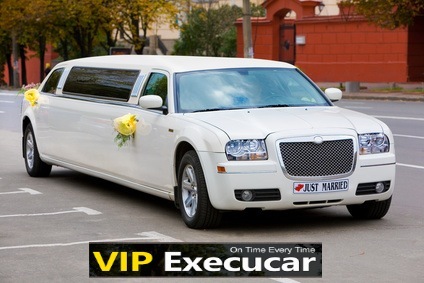 Vip Execucar offer a wide varierity of vevicles classes to choose from, includinf SUV Rental, Luxury Vehicles rental, Minivans Rental and premiun or standard with plenty of room for serveral passengers. Compare Limo Prices? :Get a FREE Quote,reviews and best value for a Limo Service from West Palm Beach Airport, Fort Lauderda Airport to Boca Raton, or any Florida destination. Do you need a Vehicle rental or SUV's rental tha has luxury plenty of legroom for 7 passengers, and loads of luggage space? Look no further we have the Newest SUV Limo that has all that. Find great prices on hourly Airport Shuttle Service and ground transportation limo rentals in your area. Search and compare from our fleet of Lincoln black car discounts offered to University Students, staff, and travel visitors. Our Orlando airport transportation is more convenient than taxi service to or from MCO Orlando International Airport. Airport Shuttle Service and reservation: We have excellent discounts for airport party limo ride, transportation from Miami International Airport to South Beach, Airport transportation, Town Car from Airport, stretch hummers, cruise transfers and for special event. Airport rates and prices for airport service to West Palm Beach, Fort Lauderdale or Nationwide vary due to distance and vehicle type and number of passenger. Luxury Sedan service is available on the upper level of Terminal A,B,C,D and J for $75 Flat rate to locations within the Palm beach central Business District plus extras. Private Luxury transportation is a South Florida based company with many years of experience in the Transportation Industry and offers a wide variety of ground transportation. When public transportation, taxis, SuperShuttle and share-a-ride services are not your preference, consider Private Car Luxury Transportation. We provide Private, airport, hourly or point-to-point,Late Model Sedan services and safe transportation around downton Miami Fl. We provide safe, easy, cost effective way to compare and book airport ground transportation worldwide from $55 hourly for a luxury sedan.Get FREE Quotes on Airport limo rates. There is no cost, no obligation and no registration. We have a wide variety of luxurious and spacious party buses to choose from. Click here to preview our Miami Party Bus! We offer airport limousine for the fallowing occasions; weddings, luxury private service, group travelers, conventions, shopping tours, casino trips, sight seeing tours, parties, corporate events, corporate travel, night club happenings, and airport transfers. We grow our business with our reliable customer base and the new clients we pick up every day. 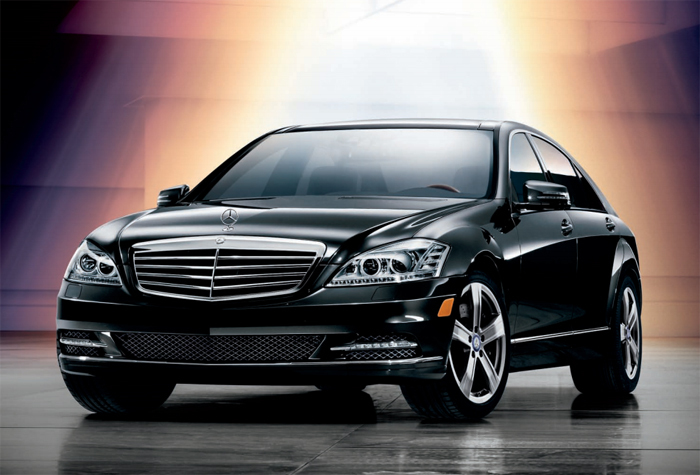 Our Elite fleet of premiun sedans including Mercedes S600 are perfect for a small party, such as wedding or prom. Finding the best airport shuttle service in West Palm Beach, Luxury Vehicle rental, corporate and leisure travel and last minute specials from Vip Execucar premiun Renta Car. We own a large fleet of wedding cars, prom limo, sedans, Hummer and luxury limousines and provide transportation in any area of travel including business, travel, and special events. Our main areas of specialty include Miami International Airport, PBI Palm Beach Airport, Fort Lauderdale International airport, Key West Int Airport, Boca Raton nights out on the town, weddings, the high school proms, and corporate travel. In addition to our specialty large sedan services, we have provided services for many other great events such as romantic getaways, romantic dinners, holiday scenic tours, New Year's Eve, and Valentine's Day. Our stretch Hummers services are great for occasions where you may be sitting in the car for awhile and can still party with friends and loved one while in transit. Find Best Rates Stretch Sedan Service in Jupiter , Miami, Fort Lauderdale, Boca Raton, West Palm Beach, Key West, Orlando, For Airports, For Limos, Orlando Airport Limousine, Vero Beach Limo,for our new Luxury Lincoln, the stretch Automobiles, corporate car service, party bus rentals or for any occasion in our web side. Renting our Stretch Hummer for the lowest prices guaranteed! We will beat or match any competitor's rates or promotions. Excellent Rate to the mayor event is South Florida equal or less to a taxi price and get a Luxury town car. We do livery-limo ride to all mayor events in Florida, Boca Raton, West Palm Beach, Vero Beach, Orlando, Miami, Fort lauderdale, Key West. We have the best deals for your car service, limo & Limousine. Lincoln car services to the airport with Vip execucar is very affordable in West Palm Beach, Miami and Fort Lauderdale. Town car are used for airport transportation, corporate meeting, cruise transportation. Call to make a reservation or book on your Miami car limo online Today! Vipexecucar™ proudly features best 2011 black Lincoln Town Car Sedan, premier luxury airport sedan service in size in the category for airport rides from-to International Airports (PBI- FLL - MIA). Ft Lauderdale Airport Car Service: Sedan service, taxi service offers luxury airport coupe service since 2010. Get instant Limo Quotes. Cheap taxi to Fort Lauderdale-Hollywood International Airport (FLL) and book online and compare from Naples to Miami, Key West to Fort Lauderdale and airport transportation best van limo shuttle rates. The prices four our Vero Beach sedan and the best airport transportation rates, limo services rates and prices for anniversary, graduation, night out, birthday or any party are affordable when you call 561-208-3831. If you looking for Florida luxury motor coach, Disney's Limo Vero Beach , Disney World or Disney Vacation Club transportation you can call VipExecucar Limo and ask for our luxury town car service or Vero Beach limo. VipExecucar and Vero Beach Limo Service provides reliable Luxury transportation services at competitive price for Vero Beach Airport (VRB), Palm Beach International Airport that can cater all your requirements on time and at affordable prices. Vero Beach Municipal Airport (VRB) is a public-use general aviation airport with FAR Part 139 certification. The airport maintains three lighted runways, which handle approximately 185,000 annual take-offs and landings. Aircraft range in size from small general aviation aircraft to large corporate limo jets. If you need to fly from Vero Beach airport to Orlando, Miami, West Palm Beach,Boca Raton you will need transportation when you arrive, VipExecucar ground service is a great alternative due to its reasonable pricing and convenience. Welcome to Miramar SUV limo , sedan, van,bus limo and airport transportation information. Compare prices and luxury transportation for Miramar Beach when you call the leader limousine company in South Florida (561) 208-3831. Shopping for Stretch Hummer Service: Limousine services offers competitive rates, whether you need a Sedan, Town Car, SUV's, for you International airport transfer, a super Stretch limo for your wedding event, your birthday, Prom, you can always expect the same quality of service, alway on time. VIP Execucar, LLC is fully licensed & insured.